The Most Valuable Company Could Be Yours! 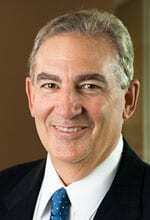 Mr. Raymond Ghelardi, ASA, Chairman, Managing Partner, U.S.
Raymond Ghelardi is the Managing Partner of Business Valuation Center's U.S. operations and an executive of the parent holding company. Prior to BVC, he was a Director with GBQ Consulting, heading up its New York office. In prior positions, he was Managing Director, Eastern Region Valuation Services at Ceteris, and Managing Director of Trenwith Valuation, the valuation arm of BDO. With over 25 years of experience, Mr. Ghelardi has a diverse background relating to financial reporting and transaction-based valuation requirements. He has conducted valuations of the securities and intangible assets of public and private corporations under ASC 805, 350 and ARC 409A and others. In his capacity at BDO, Mr. Ghelardi was also responsible for leading valuation teams performing financial reporting and tax related valuation projects. Mr. Ghelardi was also responsible for the review of the valuations prepared by other experts on behalf of the accounting practice clients. He was also one of three members of the National Leadership Committee for BDO's Valuation practice. Prior to joining BDO Valuation Advisors, Mr. Ghelardi was a Senior Vice President with Management Planning, Inc. in Princeton, NJ, where he was an integral part of the development and implementation of the firm's corporate valuation practice. Mr. Ghelardi's valuation and financial advisory experience also includes CBIZ Valuation Group, Inc., where he was a Managing Director and, prior to its acquisition by CBIZ, he was Chairman of Valuation Counselors Group. During his tenure as Chairman, the company rebuilt itself into a national leader as Mr. Ghelardi managed and directed all aspects of the firm's business including business development, marketing and sales, organizational design, daily operations, professional development, and strategic planning. Mr. Ghelardi conducted detailed financial analysis of industries in many sectors for various purposes including mergers and acquisitions, divestitures, financial reporting, and tax planning. In 1997 he directed the negotiation and sale of the firm to CBIZ, a publicly traded company. Ron Everett has served as a merger and acquisition (M&A) advisor and corporate valuation expert to more than 3,500 companies since 1984. He has 25+ years of specialized expertise in valuing and pricing companies for purchase or sale, initial public offerings, private placements and recapitalizations. 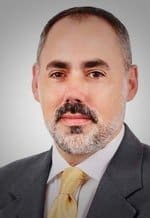 He has extensive experience in the valuation of intangible assets, including patents, developed technology, software, databases, trademarks, trade names, licenses, contracts, distribution rights, customer lists, leases, royalty agreements, franchises, debt instruments and non-compete agreements. Mr. Everett has held positions as Vice President and Director of the High Tech Valuation Practice for CBIZ, a publicly-held professional services firm, New England Director of Business Valuation Services for Ernst & Young, Director of Corporate Development for a high tech company, and President of a regional business valuation firm. Mr. Everett is a Certified Business Appraiser and Certified Valuation Analyst, and a 25-year member of the Institute of Business Appraisers and the National Association of Certified Valuation Analysts. His client list includes venture capital and private equity firms such as Advent, Summit, Sequoia and TH Lee Partners. Recently, as Project Director on a 5-year contract with the U.S. Small Business Administration (SBA), he performed or directed the valuation of 1,500 private equity and venture capital investments in the SBA's Small Business Investment Company (SBIC) Program. For two decades, John has been the secret weapon of good people who want to take their organizations to the next level - and are willing to go there first. John is a veteran of the United States Air Force, a graduate of The University of Baltimore, a social entrepreneur, artist, business advisor and performance coach. Macdonald-Starling (1998) focused on solving growth challenges for small to mid-sized businesses through strategic planning, revenue growth strategy, and strategic marketing. Smith Content, Inc. (2001) was the first b2b content development company in the United States, serving hundreds of organizations across myriad industries and multiple continents. From start-ups to Fortune 50 companies, "Smith" advised companies on issues of corporate value proposition development and deployment strategy, as a key driver of revenue growth. Smith Growth Partners (2007) advised, trained and coached CEOs and their management teams on finding competitive advantage in the nexus of strategic growth, human performance, interpersonal communication, team dynamics - and the relationship between these factors, as it relates to individual and group achievement. John has lived a life of service to the communities in which he has lived and worked; from to being a teacher in his hometown of Baltimore, Maryland, to serving on and advising nonprofit Boards of Advisors, including The Hoffberger Center for Professional Ethics, Health Care for the Homeless, The University of Baltimore Alumni Board of Governors, The University of Maryland Incentive Scholar Foundation, and more. Over the last decade, John has founded two youth development programs: The School of the Way, Mentoring & Martial Arts; and Pride Girls Soccer. John is the author of a popular series on business growth strategy (and its parallels in the martial arts) that appeared in SmartCEO magazine. He is a veteran professional speaker for businesses and associations, and guest-lectures at universities on growth strategy, community leadership and leading a purpose-driven life. A creative to his core, John is the author of a picture book for young children on over-achievement, failure and self-acceptance as the genesis of true "success" (The Flight of the Platypus - a story of self-discovery); and is a singer/songwriter and bandleader, currently signed to Ruby Records. 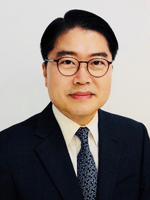 Mr. Yeonwoo Nam is the President of Business Valuation Center’s Korea operations and an CEO of BVC Asia. Mr. Nam is also an Independent Director of Seoul Guarantee Insurance and a Management Evaluation Committee Member of Korea Exim Bank. 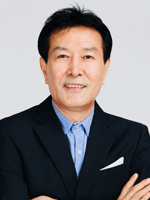 He is a member of Sojong Partners, and an adjunct professor at Konkuk University. Prior to BVC, he was an auditor at Chelsea Asset Management Company, a Director with Golden Bridge Securities heading up the investment banking business, was a team leader at both Tong Yang Securities and Shinhan Capital. Mr. Dong-yeop Paik is the Chairman of BVC Korea, and the Chief Financial Officer of BVC Asia. Educated the the prestigious Yonsei University, he is a veteran finance officer with over 35 years of market experience in Asia. Mr. Paik has served in executive and General Manager roles at Asian Banking Corporation, and later the Korea Rental Corporation overseeing international financing, leasing, short-term financing, planning and financial processing. 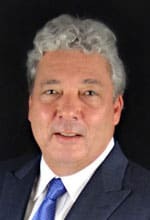 Following his tenure with KRC, he served as Vice President at Voicetech, Inc./Scigenic Corp., and as vice president of KSIC Corporation, advising companies on issues of mergers, acquisitions and investments. Clifford Webster is a successful IT entrepreneur, executive, and advisor to business owners in matters of value planning, growth planning, and exit planning. After holding key engineering positions with leading IT companies, Cliff founded Webster Data Communication in 1998 as a one-man shop. Over the next 12 years, he grew that business into an award-winning, 100-person company with double-digit annualized growth. He successfully sold Webster Data Communication to STG, Inc. in 2010. Now a Certified Merger & Acquisition Advisor, Cliff has turned his attention to helping fellow business owners understand and benefit from the full and complex range of exit planning options and activities. Cliff’s personal mission as an advisor is to protect the seller’s interests and increase the transaction value of the seller’s business. Having seen firsthand many of the pitfalls and hazards associated with the sell-side, he has dedicated his practice to changing the paradigm for the middle-market mergers and acquisitions by bringing structure, transparency and integrity to the process. Fairfax County Economic Development Authority’s Celebration of Northern Virginia Business Success. Cliff Webster holds his FINRA Series 82 Registration with Stillpoint Capital LLC. 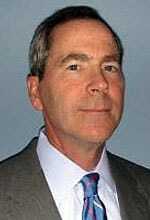 Jeff Hooke has over 30 years of corporate valuation, investment banking and private equity experience. 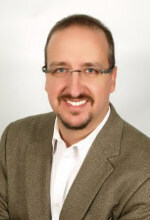 A nationally recognized expert on valuation, Mr. Hooke is the author of four books on valuation, investment and finance. His background covers domestic and international clients and transactions. Prior to his current role with BVC, Mr. Hooke founded Hooke Associates, LLC, an investment banking and corporate valuation consulting firm that worked with public companies, private enterprises, family-owned businesses, private equity funds, accounting firms and law firms. Earlier, Mr. Hooke was a private investment executive at both Emerging Markets Partnership, a $5-billion private equity fund and the largest fund specializing in investments in developing countries, and the International Finance Corporation, a $20-billion affiliate of the World Bank. He was also an investment banker at two major Wall Street firms, Lehman Brothers and Schroder Wertheim. Mr. Hooke holds a M.B.A. from the Wharton School and a B.S. from the University of Pennsylvania.